The Sun Rises and Prices Do Too! So there’s been a wave of prices increases in the games market this year (including Games Workshop and Days of Wonder to name a few…) and it looks like the bad news for gamers is far from over. Fantasy Flight Games has announced a price increase across the board for nearly all of its board games. Most games are seeing a price increase of about $10 US, but the “Silver Line” games are only increasing by about $5 US. The price increases are effective immediately for new games and on November 1, 2008 for previously published titles. But wait! There’s more! 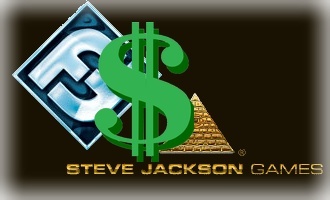 Steve Jackson Games had a similar announcement, revealing that several of their games may be having similar price increases, starting with the second print run of the recently released Munchkin Quest game (which will also have a price increase of $10 US starting mid-2009).